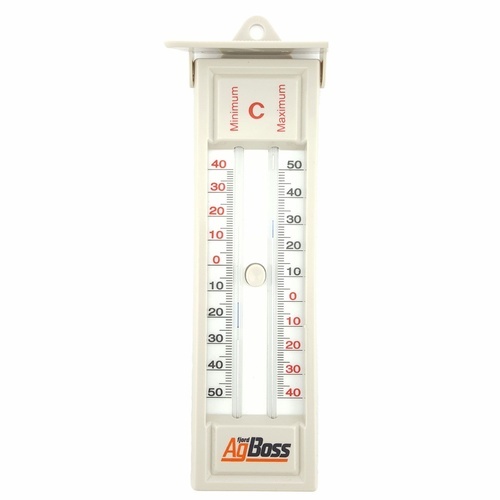 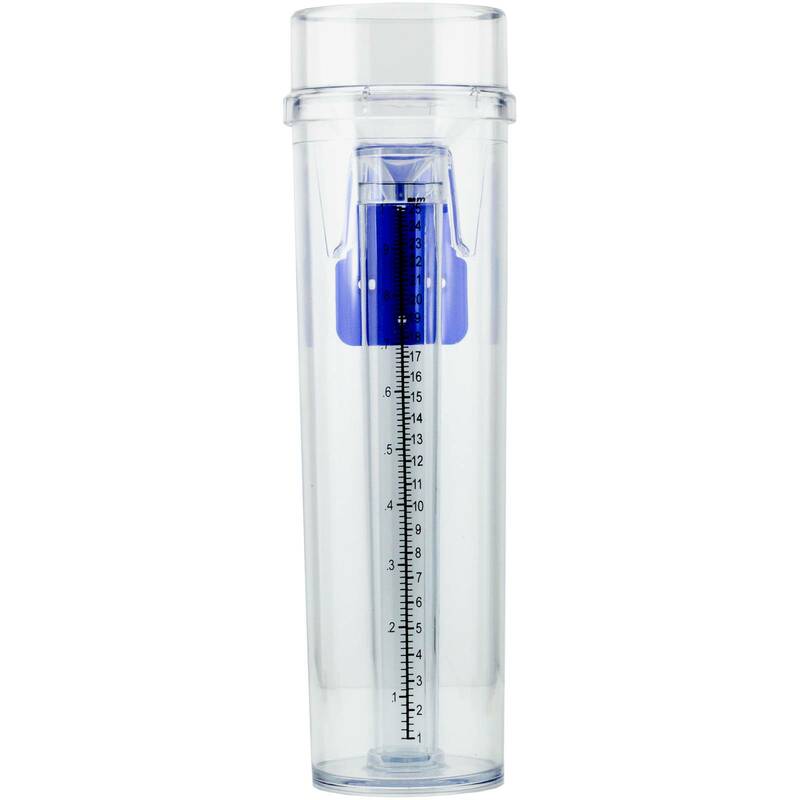 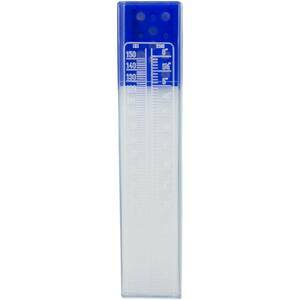 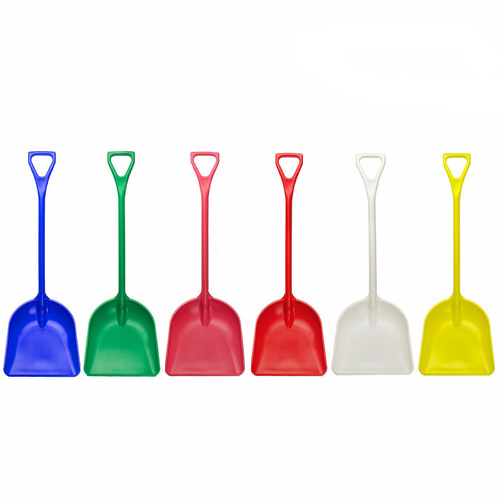 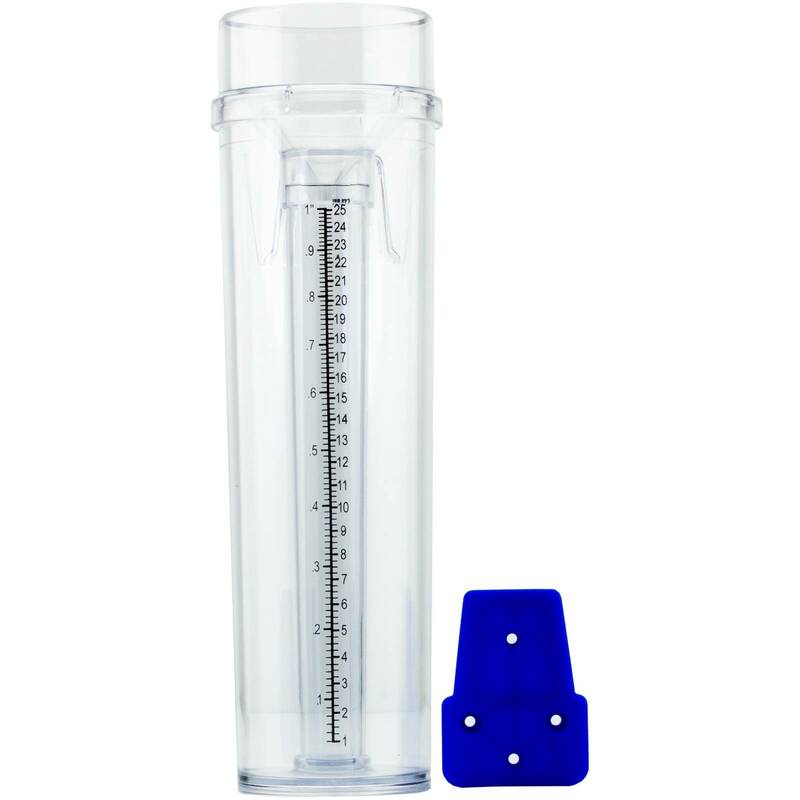 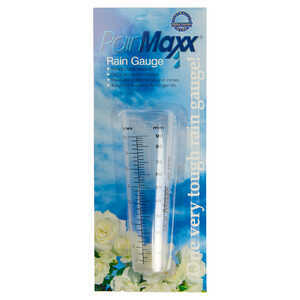 Highly accurate, easy cleaning, durable rain gauge with easy to read graduations. 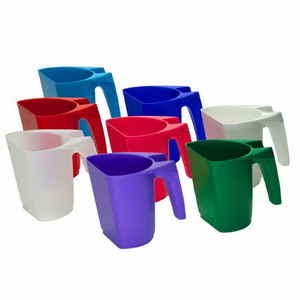 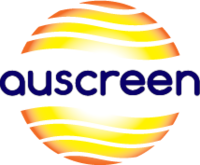 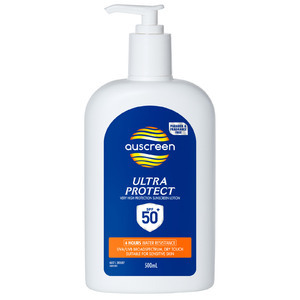 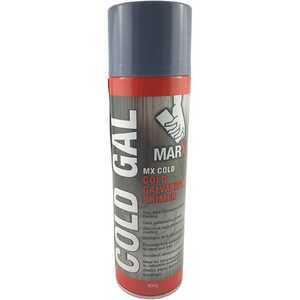 Made in Australia from high grade, non-yellowing polycarbonate. 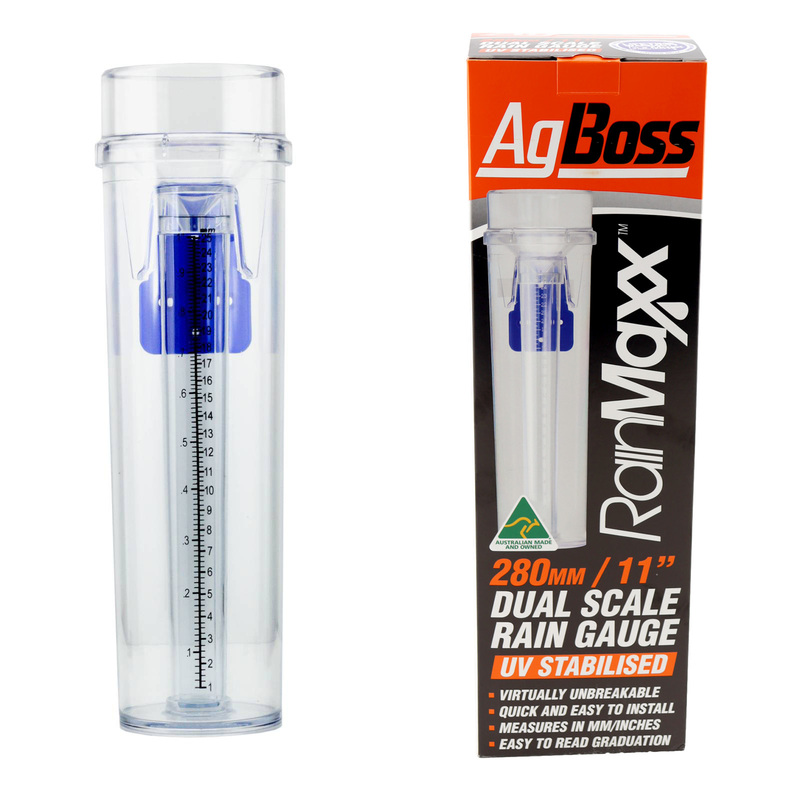 I have owned a RainMaxx 280mm Rain Gauge for well over 7 years, and after being exposed to the elements of both summer and winter and the UV rays, the rain gauge is still as good as new. 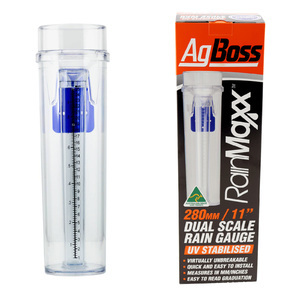 Its Perfect, My previous rain gauge had discoloured and oxidized in no time due to the UV rays. 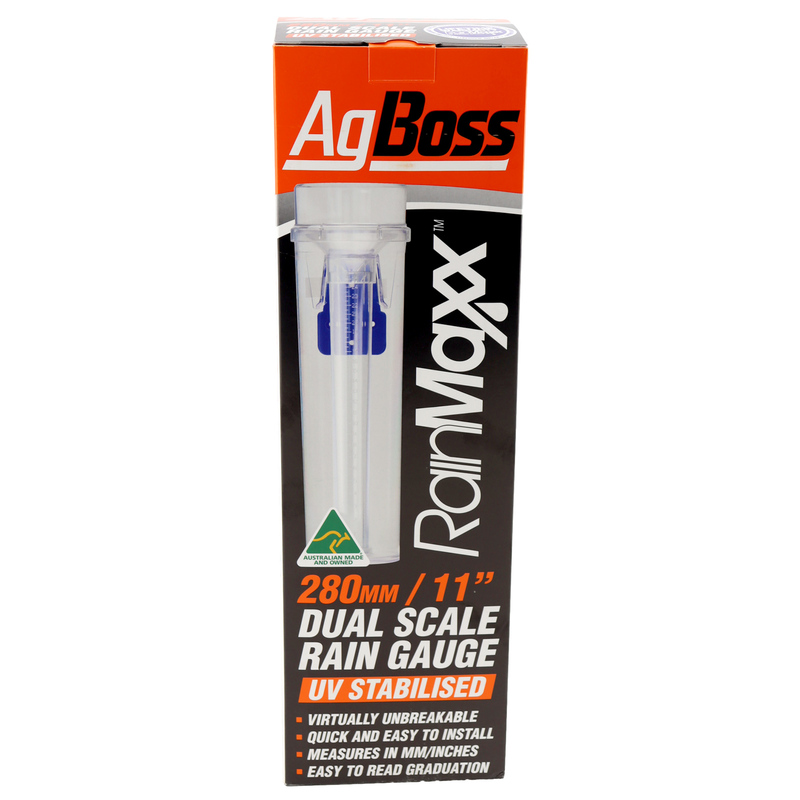 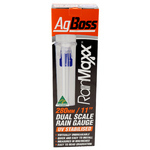 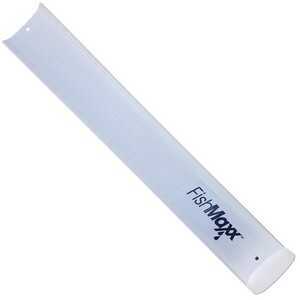 I bought this new RainMaxx 280mm Rain Gauge for my Son. 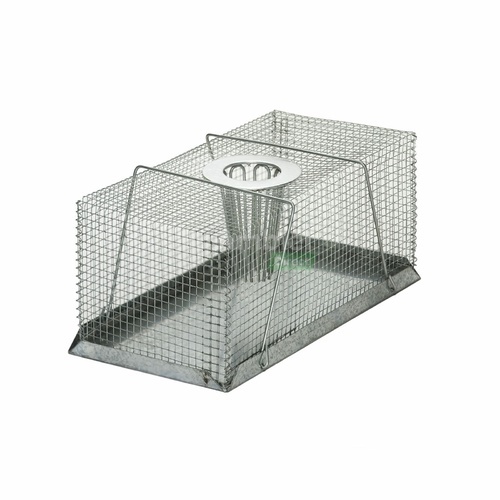 Thank you for producing such a sturdy unit that's easy to read - and (so far) resistant to the abundance of curious wild birds we have!